The two sensors listed above are not supported yet, this will be done as soon as possible. If someone starts working on this, please open an issue and share the link right here. The Z1 starter platform – an extended version with some supplementary basic actuators, phidgets and ziglets connectors, SMA-RP connector for a concrete antenna, battery (2xAA) enclosure, and MSP430 JTAG connector – is also available. This RIOT port also supports this version, except that supplementary actuators (multi-color LED, wheel potentiometer, buzzer) are not directly defined. This will be done as soon as possible. 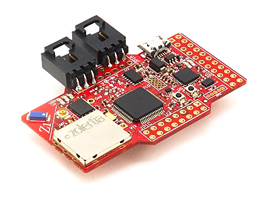 RIOT comes with a version of goodfet.bsl, a flashing tool for MSP430 based platforms. Just link or copy it somewhere into your $PATH and you are good to go. e.g. Zolertia Z1 board configuration macros.